Come and visit my studio space in beautiful Historic Sugartown in Malvern, Pennsylvania. This historic property boasts acres of mature trees and foliage, 19th century buildings, and even a stone ruin. Everything is well maintained and there are tons of different textures and backgrounds to use in photos. 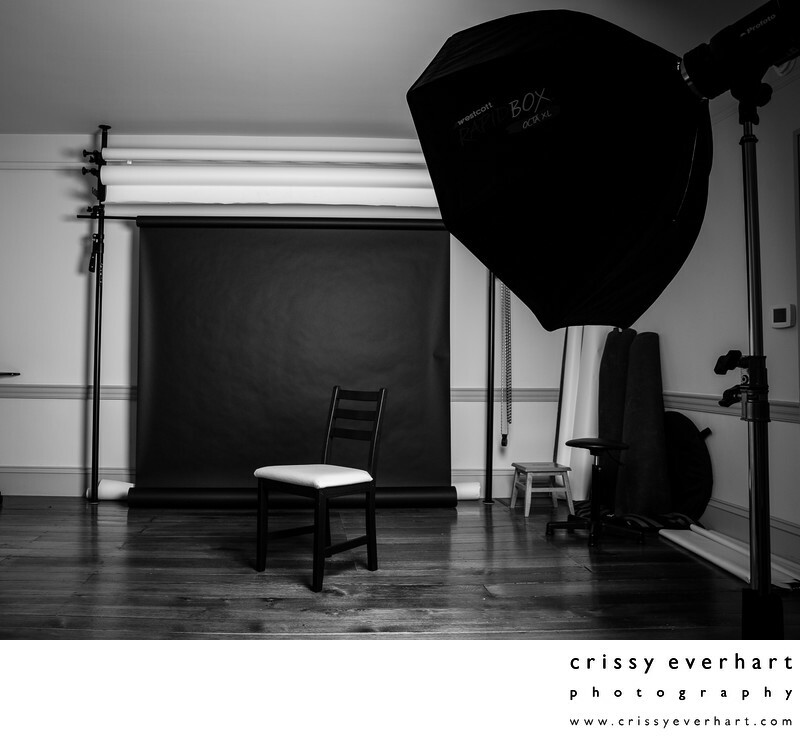 Inside, the 2000 square foot studio is set up for meeting with clients and photographing portrait sessions. Plenty of natural light fills the room, and studio lights are set up for perfectly lit images. Canvases and other large prints adorn the walls, and both wedding and portrait albums are available for you to browse. I have props for newborns, children, and holidays, as well as a wide assortment of backdrops in tons of different colors – white, black, teal blue, pink, gray, ivory, pink flowers, gold sparkles, yellow bokeh, blue chevron, white lace, fur, and more. You are also welcome to bring your own props, blankets, or personal touches. Portrait sessions photographed here at Historic Sugartown are unique – not many photographers can offer quality studio portraits on backdrops and then outdoor photos on such gorgeous land in the same session. I can accommodate the tiniest of newborns, as well as a large extended family, rain or shine. 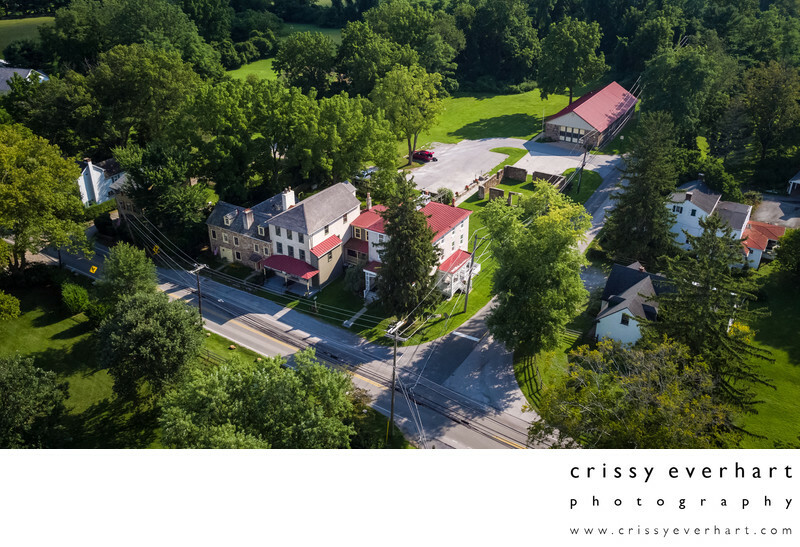 Come take a scenic drive through historic Chester County and see for yourself! 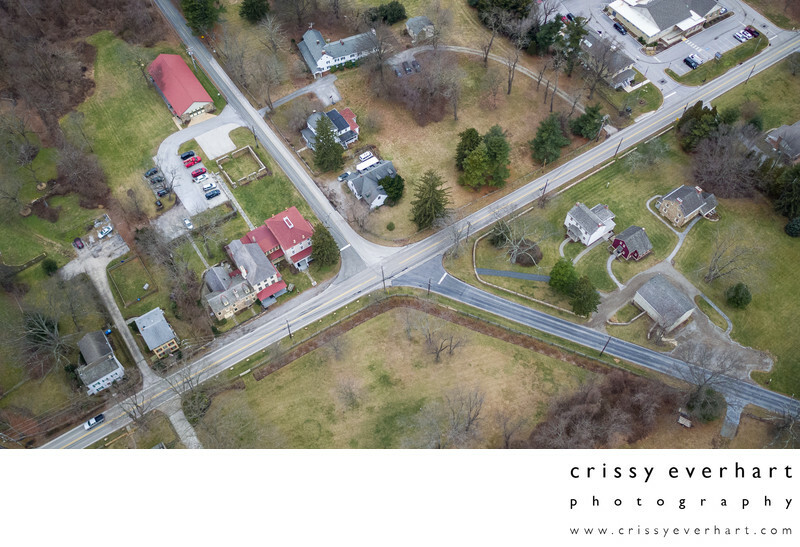 The winding roads meander through horse farms, open fields, and lush trees to end up at the intersection of Sugartown, Spring, and Boot Roads. The studio is at 260 Spring Rd. Malvern, PA 19355, just a few minutes south of the Malvern Borough. 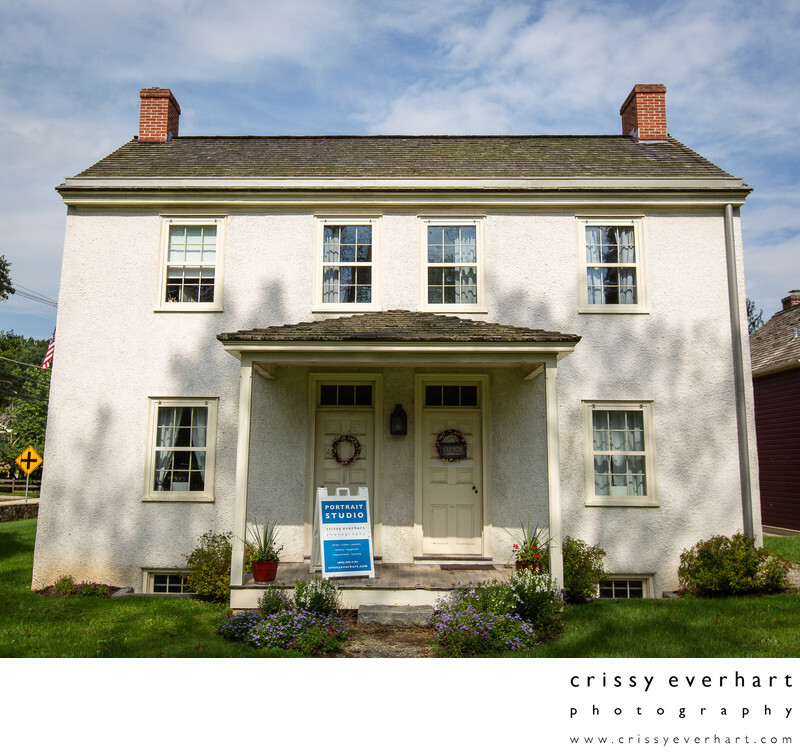 It is a white 1800's restored home on the corner of Spring and Sugartown Roads, across from the Willistown Police Dept and Township Building. Park in front of the building or by the barn, and come on in! The structures of this crossroads village were built by Chester County's early residents, and served as a stop for weary travelers hauling wagonloads of goods to and from Philadelphia and its surrounding areas. The village took the name of Shugart's Town, after tavern-keeper Eli Shugart, but is now known as Sugartown. In the village was a general store, a saddler's shop, barn, an inn, and private residences. Sugartown remained an important part of the local community throughout the 1800s, and is now a well-preserved window into the lives of these villagers and travelers. Historic Sugartown, Inc. now maintains the property and continues to educate its visitors about life in Chester County in the 19th-century. Weekend tours of the grounds are offered April through December. For more information on touring the site or learning about the seasonal events hosted at Sugartown, check out their website, http://historicsugartown.org (the "Hannah Cheever House" is the studio). Historic Sugartown looks different every season. Enormous deciduous trees bring color three seasons a year, and when there's no foliage left, there are evergreens and natural textures, holiday decorations, and sometimes even snow! 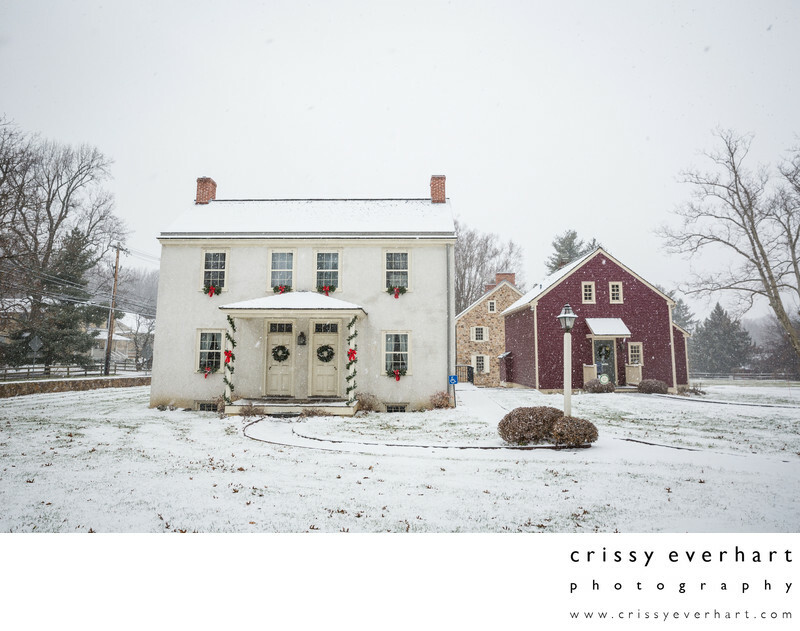 The outdoor studio is the perfect place for seasonal portraits in a true "Pennsylvania" setting.